2015 Pavtube Summer Sale – Giveaway & Up to 50% off discount for Blu-ray/DVD Rippers and Video Converters! To thanks for your continuous support, Pavtube Official Website and Pavtube Facebook are now holding the biggest sale for this summer with fantastic 50% off discounts and giveaway. Pay less to get powerful Blu-ray/DVD/Video Converter to build your own home media center on this summer! Pavtube Video Converter Ultimate is the best Movie & Video solution to backup Blu-ray/DVD, compress disc and transcode video clip (including H.265) to almost all popular video and audio formats like m3u8, H.265/HEVC MP4, MKV, M4V, AVI and play on Apple TV, iPad, iPhone, iPod, Android/Windows Tablet & phones, game consoles, HD media players, and more. Support NVIDIA CUDA / AMD technologies and batch processing facility. 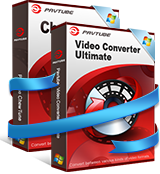 Pavtube iMedia Converter for Mac comprises a video converter, blu-ray ripper and dvd ripper to process Blu-ray, DVD and videos. This feature-rick Mac video converter toolbox can not only copy 2D BD, 3D BD and standard DVD with original structure, and convert all BD/DVD collection to virtually any video and audio format for playing on iOS, Android, Windows, Game consoles, Media Player & Server, smart TV, etc. 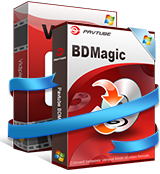 Edit and rip DVDs to almost all other popular video and audio formats for backup, playback, editing. Multiple audio track/channel preserver, mixer, and converter on Windows OS. Multiple audio track/channel preserver, mixer, and converter on Mac OS X. Handle Canon, Sony, Panasonic, JVC, etc. MXF conversion for free playback. – Convert BD/DVD to Multi-track MP4/MOV/AVI, H.265, M3U8, etc. – Remove DRM from movies purchased from online stores, e.g. iTunes, Amazon, etc. 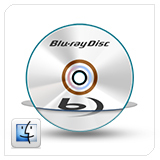 – Record Digital Copies from Blu-ray and DVD purchase to any format you want. – Convert iTunes M4V and Amazon WMV to non-protected M4V, WMV, MP4, MOV, etc. – Convert BD/DVD to Multi-track MP4/ MOV / AVI, H.265, M3U8, etc. – Rip Digital Copies coming with Blu-ray and DVD purchase to any format you want. – Allow selecting wanted subtitles/audio track to be kept in the output files. – Convert 2D/3D AVCHD/AVCHD Lite footage in MTS/M2TS/M2T at 1080i, 1080p, 720i, 720p with 2D/3D post effect. – Support encode videos in ProRes, DNxHD, DVCPRO, AIC, MPEG, etc. – Convert MTS, M2TS, M2T, TS, AVCHD, MOD, TOD to H.265, M3U8, MKV, MP4, MOV, AVI, WMV, FLV, M4V, etc. – Output video formats fully supported by NLE programs such as FCP, iMovie, etc. – Convert MXF to MOV, MP4, MKV, AVI, WMV, MPG, M4V etc. 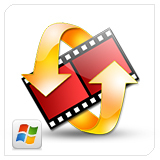 – Convert MXF for playback on iDevices, Android/Windows Phone/Tablets, HD TV and HD media players. – Convert MXF footage from Canon, Sony, Panasonic, JVC camcorders, etc. to proper format/codec for iMovie, FCP(6/7/X), FCE, Avid MC, Premiere Pro, DaVinci Resolve, etc. – Support Apple ProRes, DVCPRO, HDV, Avid DNxHD, AIC, MPEG, etc. output. – Convert MXF to any other formats for editing, playing, or broadcasting. – Convert H.265/HEVC, 1080p/720p MKV, MOV, MXF, MTS, M2TS, M2T, TS, M4V, MP4, AVI, MPG, VOB, WMV, 3GP, FLV videos for playing, editing, uploading or burning. – Support ProRes/DNxHD/DVCPRO/AIC and other codecs for NLEs on Mac. – Support Add subtitles to HD Videos. – Convert HD footages from Sony, Canon, Nikon, Panasonic, JVC, etc. – Convert any video and audio for multiple playback devices. Expire on Aug 7. Don’t miss it!! !